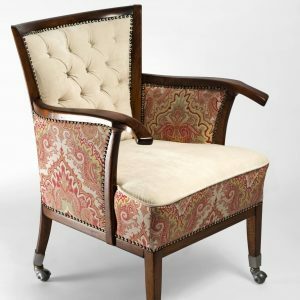 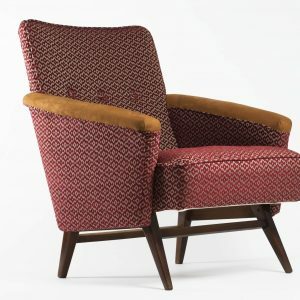 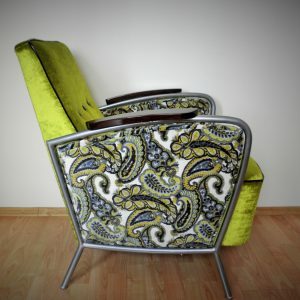 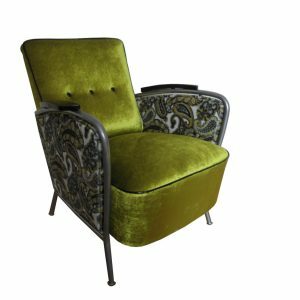 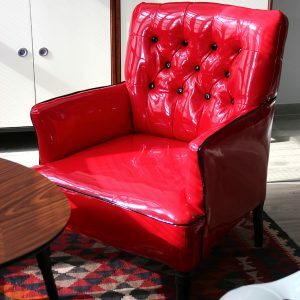 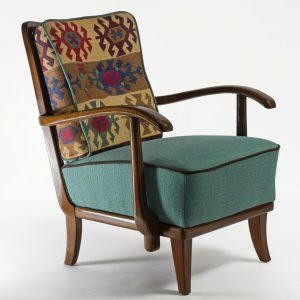 Original armchair from 20' s with rolling feet. 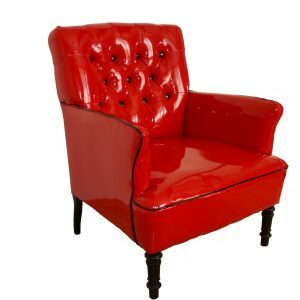 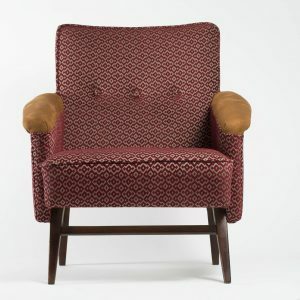 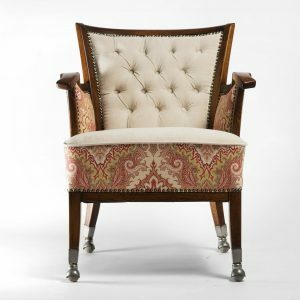 Upholstery fabric: seat: High quality velvet back and side: red and white Paisley patterned material. 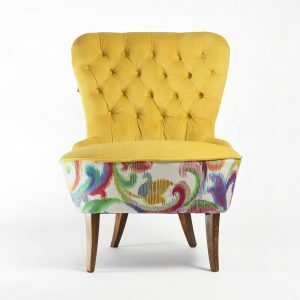 Delivery time: 3 weeks Dimension: 47 cm diameter by 40cm high. 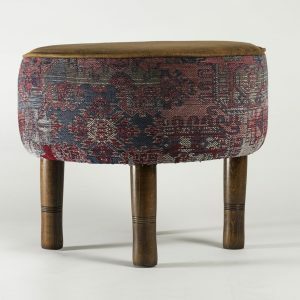 Restored old Ottoman pouffe. 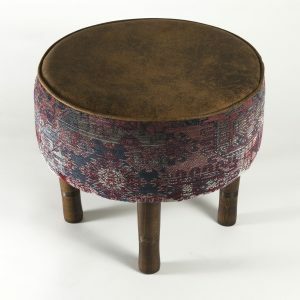 The top of the seat covered antiqued leather, the side is kilim. 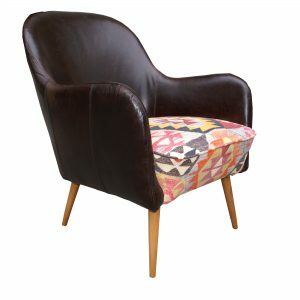 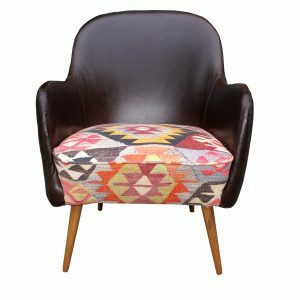 Refurbished Leather and Kilim Chair. 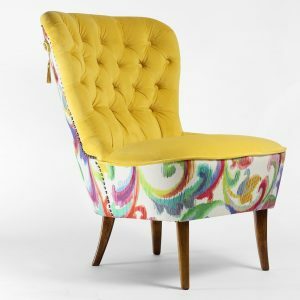 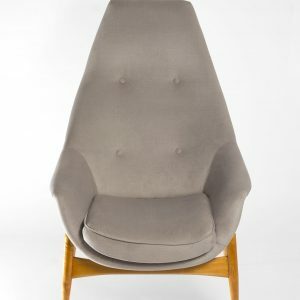 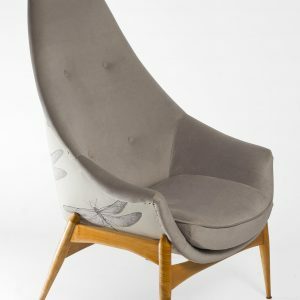 Redesigned mid century modern chair from 50's. 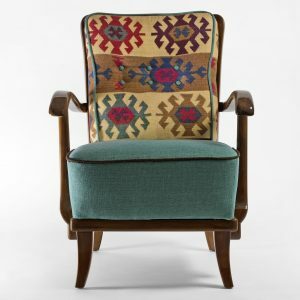 The back and side covered leather, the seat covered wtih Kilim.